Prince William and Kate Middleton planned on having another baby after Princess Charlotte was born, says Rebecca Perring, a journalist for Express. [post_ads]Perring claimed that Middleton always wanted to have another child after Princess Charlotte, but Prince William was reluctant about it. As such, royal aides were reportedly shocked when they learned that Middleton was pregnant with her third child months ago. “Kate always wanted more than two children, it was William who needed to be persuaded. As one of three, Kate wanted at least three. William was more reluctant, not just because he was one of two, but because George was quite a difficult baby. Then they had Charlotte and she was a lot easier…” a source told Perring. However, the journalist said that it seems Prince William was on board to have a third child all along. After all, the Duke and Duchess of Cambridge served slices of cake that were taken from their wedding cake from 2011 at Prince Louis’ christening. This means that the couple especially saved the third tier of their eight-tier 2011 wedding cake to help welcome their third child. As per royal tradition, wedding cakes are served each time a child of the royal couple is christened. Prince Louis’ cake was designed by Fiona Cairns, and it featured 17 individual fruitcakes. The royal couple’s cake of choice was announced via the royal family’s official website. 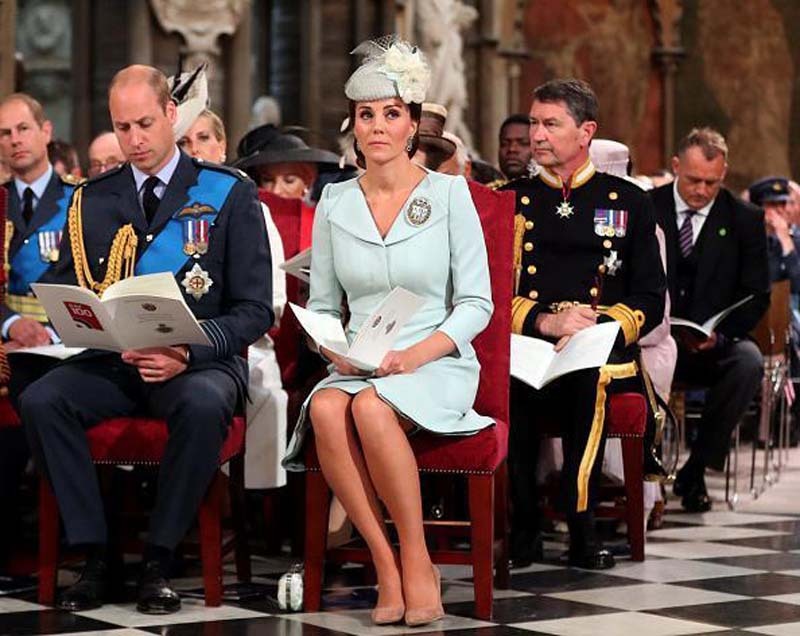 “Following the service, the Duke and Duchess of Cambridge will give a private tea at Clarence House. Guests will be served with slices of christening cake, which is a tier taken from the Duke and Duchess of Cambridge’s wedding cake,” it read. Prince Harry and Meghan Markle attended Prince Louis’ christening, but only as guests. The Duke and Duchess of Sussex were not chosen as Prince Louis’ godparents. Those that were given the important role were Nicholas Van Cutsem, an international business developer who is close to both Prince William and Prince Harry, Guy Pelly, a known party animal, Harry Aubrey-Fletcher, Prince William’s good friend, Lady Laura Meade, the wife of one of Princess Charlotte’s godfathers, Lucy Middleton, the Duchess of Cambridge’s cousin, and Hannah Gillingham, one of Middleton’s best friends from school.